The final game of our trip and a chance to see a team that started my wider exposure to football, different nationalities and their associated cultural heritage, Holland. 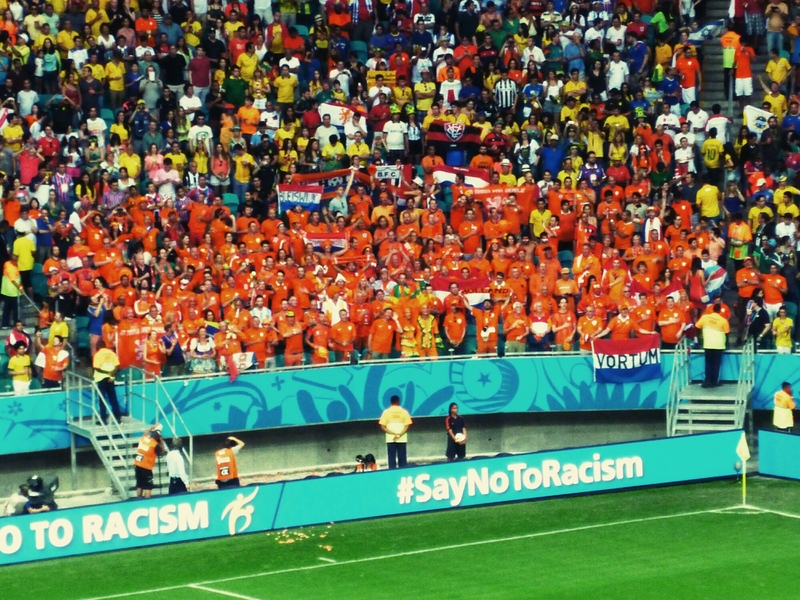 I suspect the Netherlands is now more technically and politically correct but they’ll always be Holland to me and my reference point to how the beautiful game should be played. 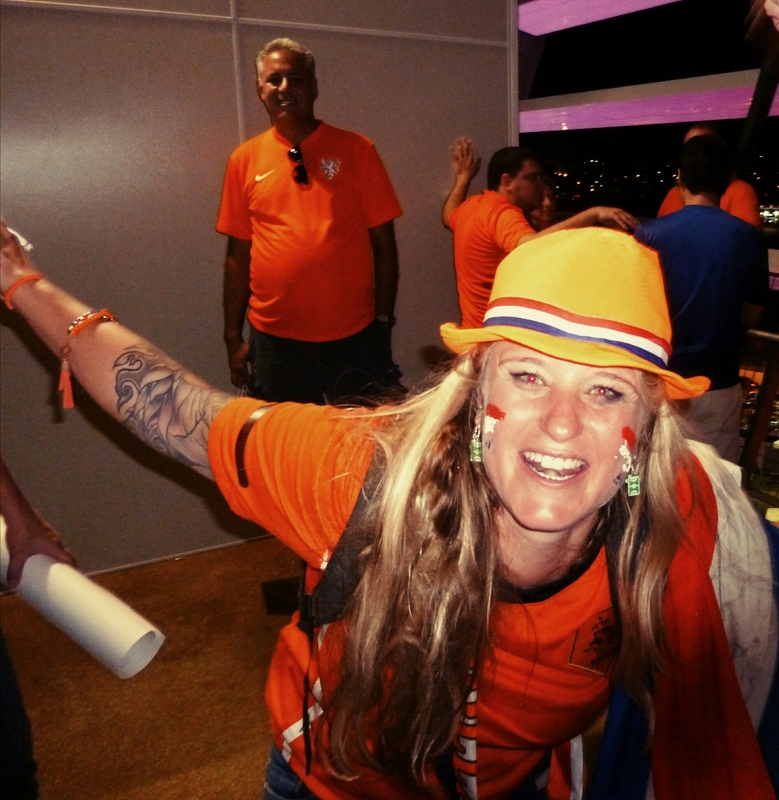 With this in mind, it had seemed like fate was moving me towards a chance to witness the Oranje, and so it played out. But karma is fickle and dealt two twists to this hand. One obvious (once realised) and one hidden. The obvious twist was that Costa Rica did not come to hail the beautiful game but to bury it (apologies to Julius Caesar there). 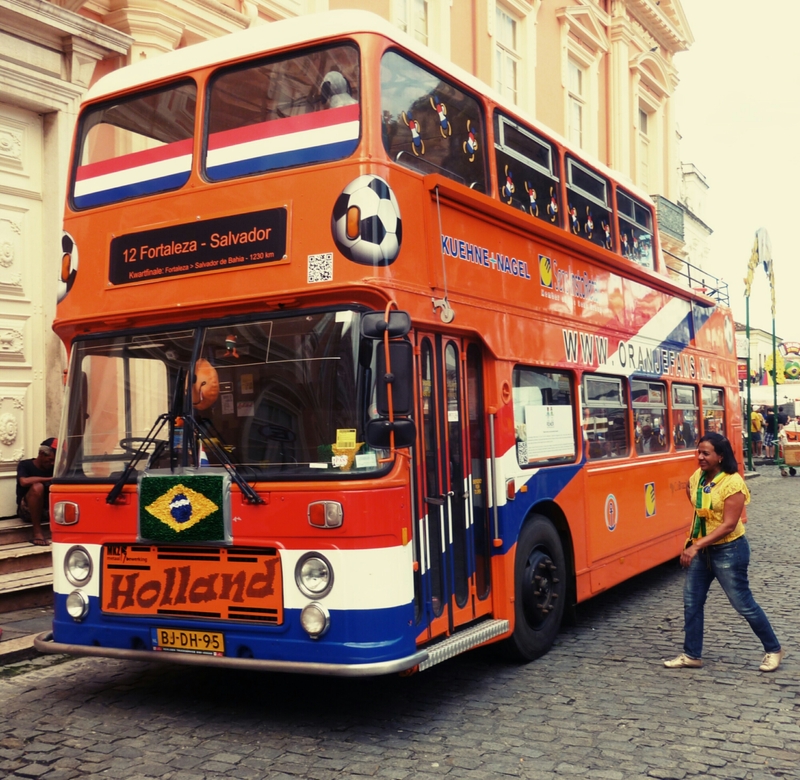 They inevitably focused on limiting Holland’s opportunities and well and truly ‘parked the bus’. Holland seemed to lack urgency and ideas and the referee was not inclined to worry about the amount of time being wasted. All in all not what 50,000 people had come to watch. The neutrals were for the underdog which initially made sense but increasingly less so as the game was dragged down to that of a park team desperate to not look foolish. Yes I understand playing to your limitations but this was not the team that won through the group stage and the time wasting tactics were so onerous that they were an insult to the travelling fans and the TV audience alike. Neutrals wanting Costa Rica to triumph was also a vote for another moribund game devoid of engagement which may not sense. It should be about the best footballers going toe to toe showing the world what the game should look like. Love him or hate him, watching Arjen Robben in full flight tormenting a defence is a sight to behold. 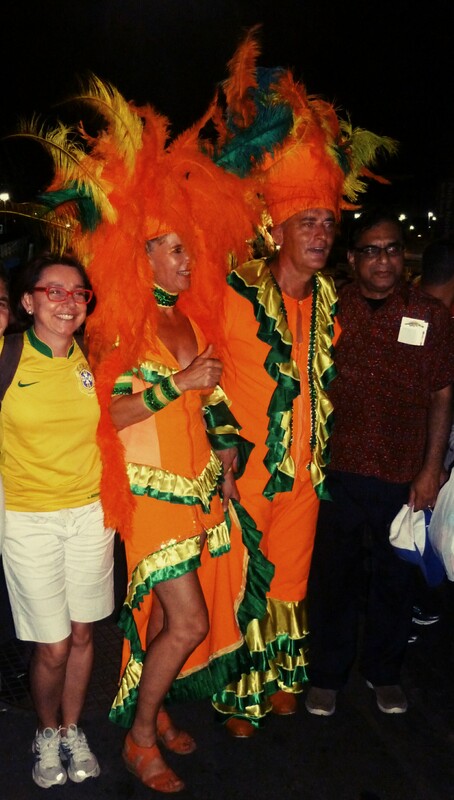 For the most part this world cup has delivered in spades both on the pitch, in the host cities and from the people and that should be admitted to play out. So while I admire teams giving it their all, and commend the Ticos for that, it wasn’t a time for sentiment as now it’s time for this tournaments giants to face off and try to show us they deserve the mantle Spain has vacated. Small clusters of fans round the stadium rather than large sections. But the faithful were here loud. Not the best nights football but as the saying goes ‘I was there’. PS I haven’t forgotten the second karmic twist but for now it shall have to wait. 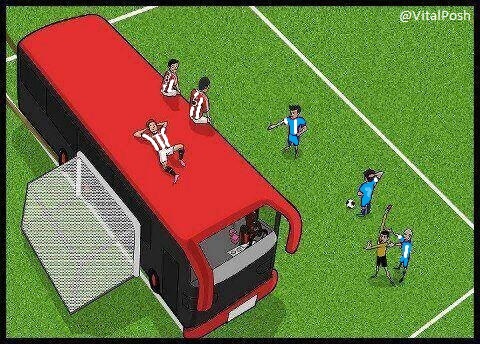 Love the bus! Sad about their loss.